The Gators are 0-2 in the Southeast League standings and will be fighting to keep a streak of five consecutive playoff appearances alive when they travel to Basic at 7 p.m. Friday. Beating the rival school is always important in high school football. 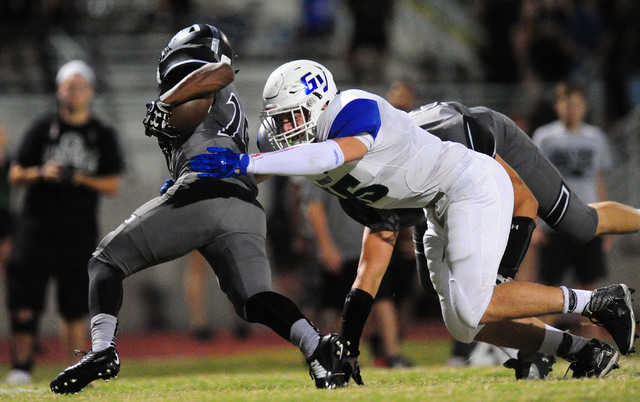 For Green Valley, this week’s Henderson Bowl matchup against rival Basic is more meaningful than ever. The Gators (3-3) have won four of the past five Henderson Bowls, but No. 5 Basic (5-1, 2-0 Southeast) is coming off a 26-21 win last fall. Seven of the past 11 games between the teams have been decided by seven points or fewer. “It’s a great challenge for us, regardless of whether or not it’s the Henderson Bowl,” Green Valley coach Brian Castro said. “They’re having a really good season over there. The Wolves enter the game averaging 45.2 points behind one of the area’s top passing attacks. Quarterback Aaron McAllister has completed 67.5 percent of his passes for 1,837 yards and 27 touchdowns with three interceptions. Frank Harris (33 catches, 683 yards, 8 TDs), and DeShawn Eagles (40 catches, 578 yards, 9 TDs) give him two outstanding receiving options. 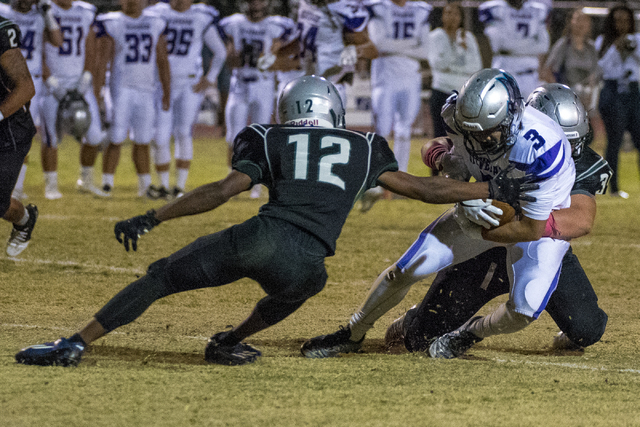 Green Valley has struggled against some of the area’s better passing teams, allowing a combined 98 points and 595 passing yards against Centennial and Liberty. The stands at Basic figure to be packed Friday, but the Gators got a taste of that last week at their homecoming game against Silverado. 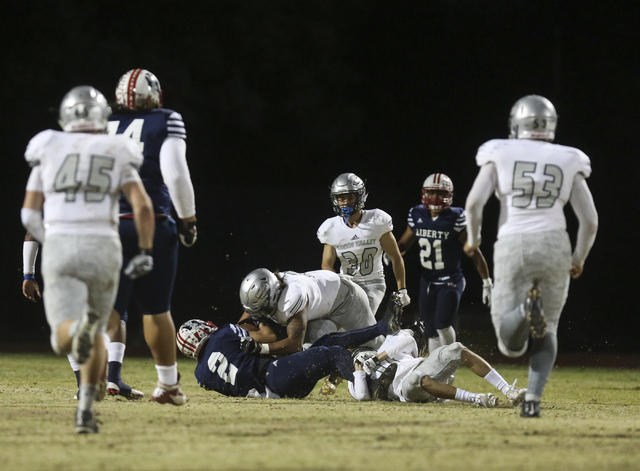 The Skyhawks dominated that game, beating Green Valley 35-7 before an estimated crowd of 5,000.